Grew up… wanting to be an architect, but unfortunate family circumstances forced him to drop out of school and start earning money to support his family. Living… back in New Jersey after a long stint doing business down in Miami. Unfortunately, Ralph brought more back up north than just a nice tan. His addiction to cocaine hasn’t been doing him (or anyone else in the family) any favors. 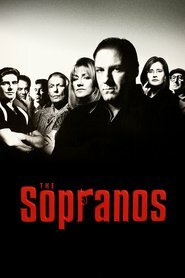 Profession… mid-level soldier in Jackie Aprile’s crew, under (acting) boss Tony Soprano. Ralphie is well known for being one the best earners in the DiMeo organized crime family, which forces his colleagues to put up with his tempestuous behavior. Relationship Status… dating his old friend’s wife, Rosalie Aprile, now that Jackie is dead. Ralphie, who coaches Rosalie’s son Jackie Jr. in the mob life, may see himself as a family man, but his abusive and sadistic tendencies prove otherwise. After Ralphie gets mixed up with an exotic dancer from the Bada Bing, things start to go sour for him. Challenge… wanting more. As he wonders aloud, “Why was I born handsome instead of rich?” But Ralphie’s problems don’t only stem from his lack of money and power within the family; they are mainly the result of his wild temper. Ralph’s ham-handed, mean-spirited jokes are almost never taken well. His sense of “humor,” combined with his short fuse, often make his life more difficult than it should be. Personality… quick to anger. Ralph is a true sociopath. He enjoys seeing others, even those he claims to love, in pain. Ralph threatens to do things like “rip the guy apart at the joints, with him conscious.” One of these days he’s going to hurt the wrong person, and the payback could be epic. Ralph Cifaretto's popularity ranking on CharacTour is #3021 out of 5,000+ characters. See our top-ranked characters and read their profiles.